One of my biggest problems with the Sony UWP lineup is the small selection of used after market lavs. True you can buy any of the lavs from the major makers wired for UWP but than what? Try to sell a UWP wired lav on eBay and see how many times you can post it without getting any bids before you go crazy. Buying UWP wires lavs is like throwing good money down the drain. 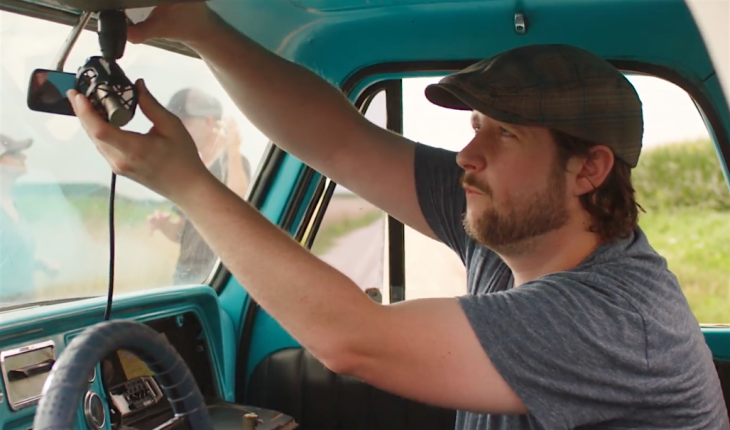 That same microphone wired for Sennheiser will holds its value on the second hand market. Another reason for this adapter cable is why keep another set of lavs in your audio bag that only work with your UWP systems. I have three G3 systems and one Sony UWP. Last thing I want is to mix up the lavs and waste time having to rewire an actor on set. Or keep an extra set of lavs in a bag just incase I reach for my UWP. I used alligator clips to figure out which of the leads on the UWP was the signal, neutral, and ground. You don’t need to do this. On the UWP the ring is the hot and the tip is the neutral. The sleeve is the ground. Cut off a short piece of clear heat shrink. This will be used too cover your label maker tape if you choose to label this cable. Slide it over your wire before you begin to solder. Solder the ring of the 3.5mm male too the tip of the female 3.5mm connector. Now solder the male’s tip to the ring of the female. The lavs I use don’t require the ground to be soldered. 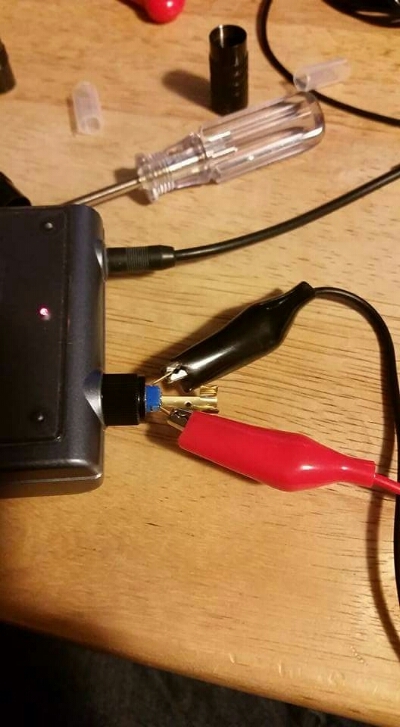 Now screw the covers over your connector and use a heat gun on low to heat up your heat shrink. 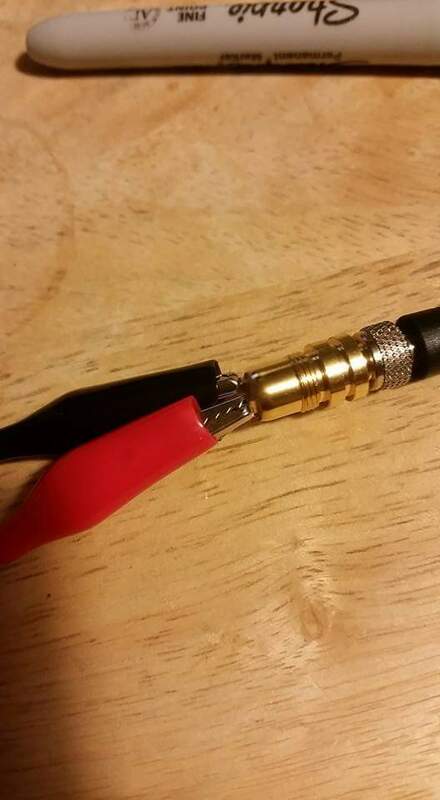 I saw low because a small cable like this is hard to hold and the metal connector will get hot quick being that close to the heat shrink. I hope this tutorial helps. If I were to make this adapter again I would a right angle male 3.5mm to keep the wiring smaller. When I use this transmitter I bend the adapter cable back on to the belt pack and use a bongo tie to keep it into place. The bongo tie also helps to reduce stress on the belt packs connector. Post comments if you have any questions. Thanks for the article! 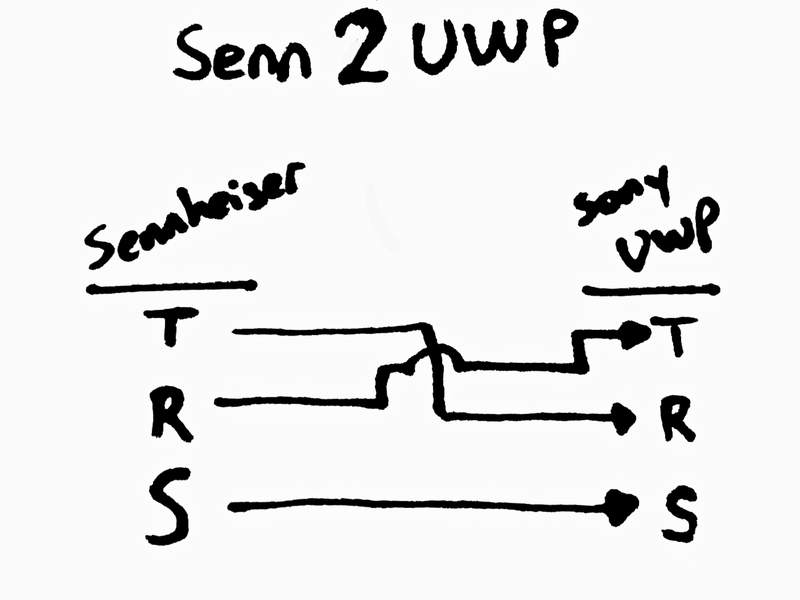 Going to have to make a couple of these UWP-Senn adapters. 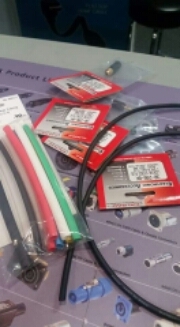 Do you have a source for the locking female connectors? Thank you very much for this article, this is absolutely great info! I notice that in your diagram it’s wired Tip-Ring, Ring-Tip, Sleeve-Sleeve; but in Step 3 you mention that the Ground doesn’t need to be soldered for the lavs you have. The reason I ask is that I have both a Sennheiser ME3-EW and Sony ECM-322BMP (both Headset Mics). I’d like to use them interchangeably with both systems (G3 & UWP). 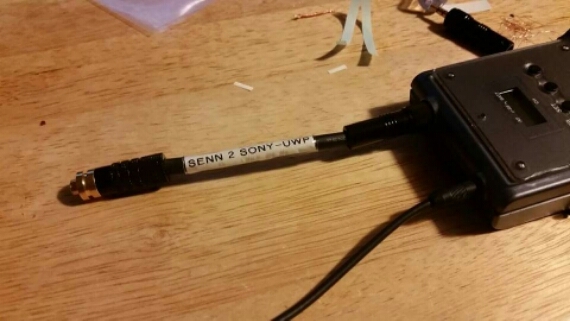 I assume that I would only have to make one of these adapters and it would allow the Senn mic to be used on the Sony Transmitter and the Sony mic to be used on the Senn transmitter as well? My only hesitation with making these came when I read the following: https://sennheiseruk.happyfox.com/kb/article/104-ew-plug-pin-configuration/ which says that the the ring and sleeve are soldered together. So… do I wire only 1 cable like in your diagram? Or will I have to wire 2 cables?